With a wide range of solutions to fit any budget we can assist you in selling, directing or generating referrals. We offer everything from economical fold-over signs and plastic corrugated stake signs to the traditional, more durable metal-framed signs. From needing just one, to one hundred, or even more, we will work with you to come up with the best solution to meet your objectives and stay within your budget. 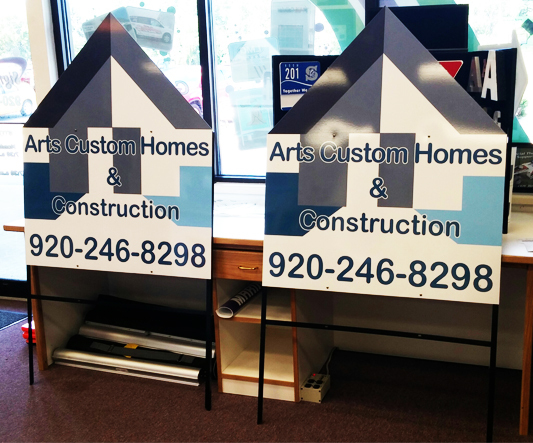 Single sided signs, double sided signs, from one color to full color – we can do it all.